Italy is well known for its many monasteries, usually located in beautiful and peaceful settings to favour a life of meditation. 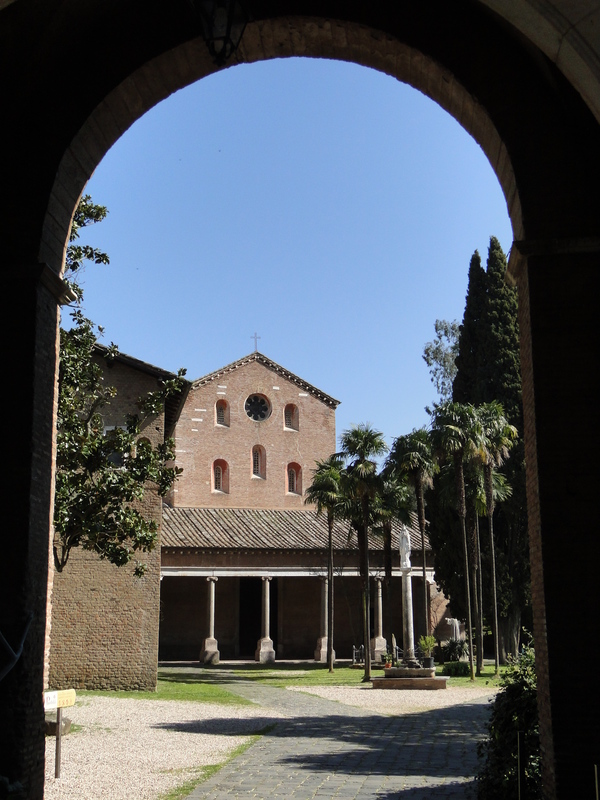 However, one such monastery exists in a very urban part of Rome: the Abbazia delle Tre Fontane or Abbey of the Three Fountains on via Laurentina, near the EUR area. 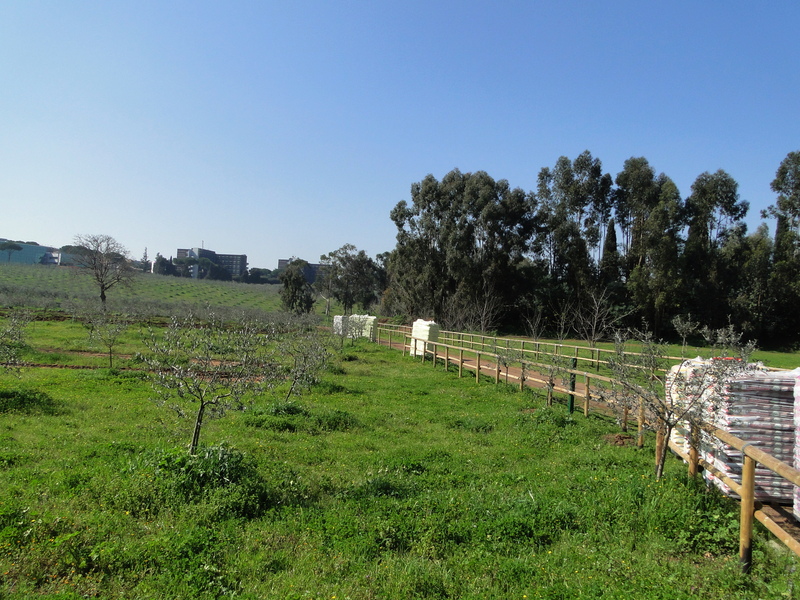 In a preserved island of a few hectares, the trappist monks who run the monastery grow fruit and vegetables, olives in particular, and run a little shop to sell their produce. The location was not chosen by accident. The monastery was built on the very place where the martyr of St Paul was believed to have taken place in 67 A.D. According to the story, after St Paul was decapitated, his head bounced three times on the ground, and each time a water source sprang out, hence the name of the Three Fountains. A small church, which contains the three fountains was erected in early Christian times to celebrate St Paul. It was later rebuilt when, in the late 16th century, Cardinal Pietro Aldobrandini, Pope Clement VIII’s nephew, commissioned the church’s renovation to Giacomo della Porta, the well known architect and sculptor who was working on many of the new churches in Rome. 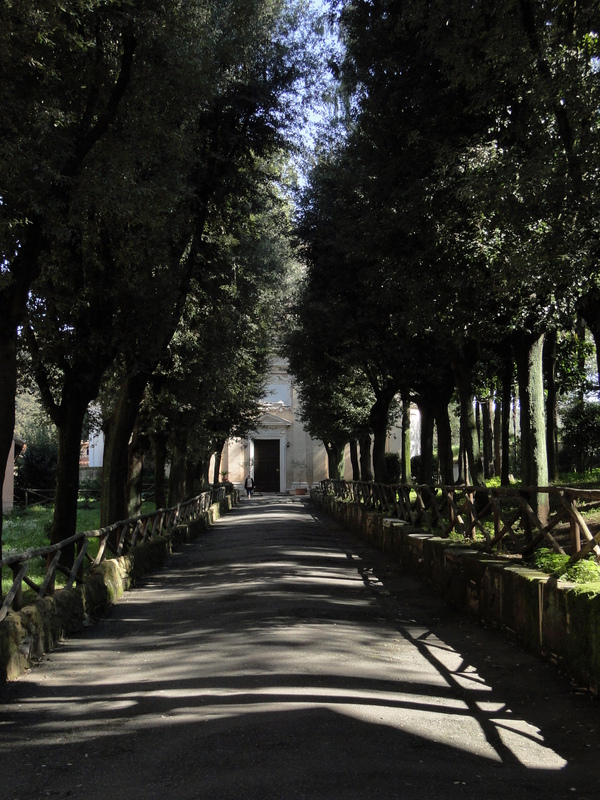 Today the church and shaded path leading to it, are part of St Paul’s pilgrimage. The springs were already known in Roman times as Acque Salvie, as testify the remains of Roman mosaics found there. However, records of a monastery go back to the second half of the 6th century, when the Byzantine general Narsete, Emperor Justinian’s appointed governor of Italy, decides to build a monastery next to St Paul’s church. The Monastery is first occupied by Greek monks fleeing their native Cilicia (a region in today’s South Eastern Turkey) following the Arab invasion of the 7th century. They were dedicated to St Anastasio, the Persian monk who was martyred in 628. It will remain the centre of a vibrant Greek and Armenian community until the 11th century. After a period of oblivion, the Monastery springs back to life in the 13th century, when Pope Innocent II decides to give it to the congregation of Cisternian monks. They will run it until the beginning of the 19th century when it is abandoned again, partly because of the unhealthy malaria-prone environment. It is only towards the 1870s that the trappist monks take it over and get a long term lease over the property, made possible by the change of political system in Italy. Following the country’s unification in 1861, the Pope lost its temporal power over Rome and the Papal States, to remain a religious authority only. The trappist monks put in place a drainage system to get rid of stagnant water and prevent malaria, and plant the eucaliptus trees that are still part of the complex today. At the time, the Monastery covered an area of about 450 hectares, but more than 400 of them were repossessed in the late 1930s, when Mussolini decided to build the EUR neighbourhood. 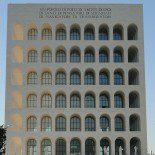 This entry was posted on March 31, 2011 by Salambo in Arts and culture, churches, Daily life in Rome, English, Rome's neighbourhoods and tagged 6th century Rome, cisternian monks, EUR, Monastery, trappist monks, Tre Fontane, via Laurentina.